The US T30 Heavy Tank & T34 Heavy Tank were developed at the same time as the T29, however the T30 had two differences in the principle three design aspects of a tank, its mobility and firepower. The main gun was a staggering calibre 155mm and its engine was a V-12 Continental rather than the T29 Ford. The T7 main gun required a two part ammunition, which was the shell loaded and then the case charge. Both were loaded with a power rammer. 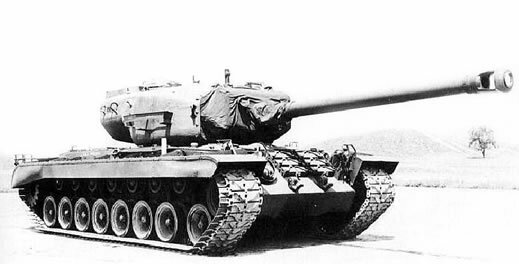 The T34 was another development of the T30, however it was equipped with a 120mm main gun. Both vehicles were built as prototypes during 1945, however never entered serial production.